When decorating, it's important to remember that each room in your home is a reflection of you. To create a space that you'll love living in, equal emphasis should be placed on form and function. Every space should have its own unique mood while a coherent personality is maintained throughout the home. There are some basic interior design guidelines that can be adhered to when styling any room in your house. For example, it's important to establish what the focal point of a space will be. Some rooms already have one, like a large floor-to-ceiling window or a fireplace mantle, while others require one. This could be a piece of furniture, artwork, or a large mirror. Remember, if possible, place the focal point parallel to the room's entrance. The next thing to consider before designing a room is the intended function of the space. Is it a quiet area meant for office work or is it a family room intended to entertain and bring people together? You'll pick out furniture based on the answer to this question. If you have a sun room meant for post-work relaxation, a large, deep cushioned chair for one should be the functional piece in the room. Conversely, if the space is intended for entertaining guests, you'll want plenty of seating. 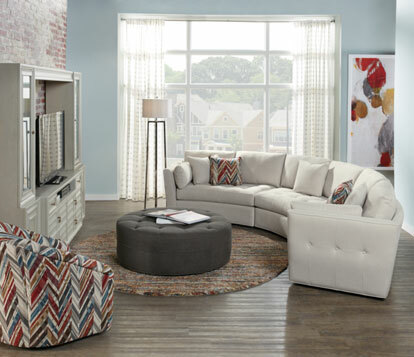 Pick out a couch or a sectional as the centerpiece, then add a loveseat and a few accent chairs as necessary. This space should be organized in such a way that will naturally bring people together around a focal point such as a television. A good design tip is to remember is that lighting is an essential part of any room's functionality. Additionally, it helps set the mood. Direct lighting works in bedrooms and offices, whereas indirect lighting or soft lighting is best for living spaces. Accents, such as task lighting, recessed spotlights, and floor spots, are great in kitchens, foyers, and dining rooms. These will enhance the texture, color, and specific room details in the space. When designing a room, it's always a good idea to go into the project with a plan. Before shopping, take measurements on graph paper to help you make the most of the available space. Mark the distance from doors, windows, vents, electrical outlets, and light switches. These things will eventually play a key role in whether a room is functional or not. Use your floor plan to test out different layouts and arrangements, but keep in mind that rooms look best when the furniture is facing the focal point. Another helpful decorating tip is to settle on a color scheme before picking out pieces. To create an interesting look, mix and match furniture with a single, bold color and pieces with eye-catching patterns. Once you have an idea of the color scheme, you can pick out paint for the walls. Neutral grays and beiges can balance out a loud group of furniture, while a rust or blue can perk up a room full of tan pieces. An important part of the final feel of a room is layering small and large items together. This helps balance the space. For example, placing a large mirror above a small table with little knick-knacks creates visual interest. Another good design tip is that collections of threes or fives work better than even numbers of things. For example, don't place two identical candle holders on a table. Vary it with three or five of a different style and add more personality to your room. Shabby Chic - This look is inspired by England in the 1980s. It combines worn, vintage furniture with interesting brush and paint effects. 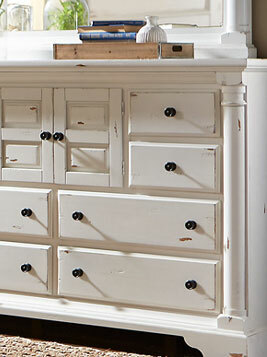 American Colonial - This style harkens back to the do-it-yourself days of American home building. 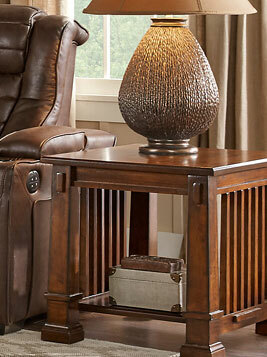 Recognized for its use of geometry, it is a cozy look that uses mostly dark finished woods. Arts and Crafts -The true craftsmanship of the arts and crafts style focuses on woodworking skills while implementing natural, earthy tones with wooden, glass, and stone furnishings. 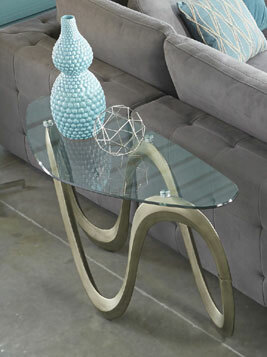 Modern - This stylistic approach is inspired by art deco and blurs the line between art and furniture. Though there are many more decor styles, these are just a few of the most popular to give you a sense of direction. Furniture.com lets your filter furniture by style, so you can easily cultivate a contemporary or traditional space. However creative you decide to be, stick to these simple stylistic formulas and you can make any room functional, coherent, and full of personality. Click here to find which furniture brands can best help in your room design.